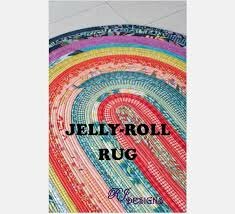 Make a rug from just a 42-strip Jelly Roll and strips of batting. You will need to sew your strips together before class. Materials Included: 15% off class supplies bought at Rocking Bobbin. Requirements: We will provide sewing machines for this class, an ironing surface, and cutting mats. Please bring thread, scissors, pins, Best Press and clips. If using batting strips, have them cut. 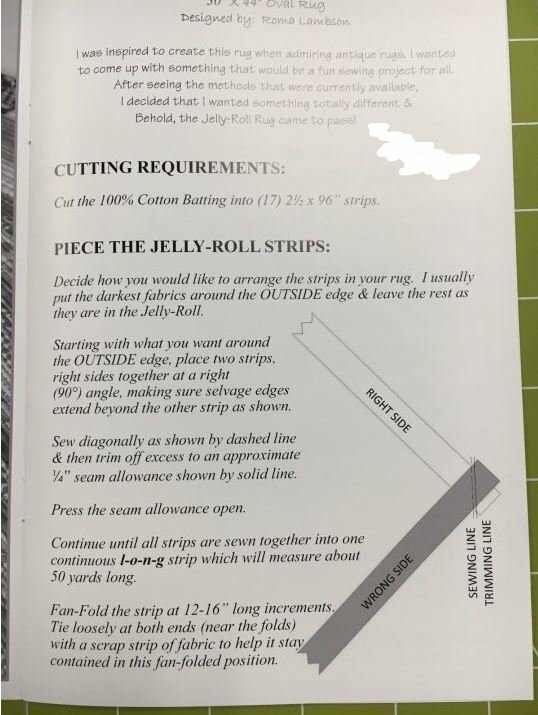 Sew your jelly roll strips together according to the pattern prior to class. You're welcome to take a lunch break at any time. You can bring your lunch and put it in our freezer or refrigerator. We also have a microwave and a coffee maker (Keurig). There are a couple of restaurants in our shopping center that you are welcome to go to as well.